We will deliver, at no cost to you, your new or pre-owned vehicle anywhere in MI, OH, IN, or IL. Call or email for details. *** WE SPECIALIZE IN CREDIT ISSUES *** Recent Arrival! Clean CARFAX. **HAVE QUESTIONS? TEXT US ANY TIME AT (313)327-3563**. Latitude Interested? Call/Text 313-327-3563. Credit Specialist On Hand. Boasting legendary Jeep capability, our Clean Carfax 2015 Jeep Renegade Latitude presented in Glacier Metallic lets you take on those great adventures in elevated style! KEY FEATURES: • Powered by a proven 2.4 Liter 4 Cylinder that offers 180hp while tethered to a 9 Speed Automatic transmission • Alloy Wheels • Front Wheel Drive Technology: • Uconnect Voice Command • Available Satellite Radio • Premium Stereo with Bluetooth, CD, MP3 and Aux In Interior/Exterior: • Premium Cloth Low-Back Bucket Seats • Split Folding Rear Seat • Roof Rails • Automatic Climate Control Safety: • Low Tire Pressure Monitor • 4 Wheel ABS • Stability Control • Fog Lights Print This Page or Call/Text Us Now 313-327-3563. Located in Detroit and easy to get to from anywhere in Wayne, Macomb and Oakland Counties. Close to I-94 and We Know You Will Enjoy Your Test Drive Towards Ownership! We will deliver, at no cost to you, your new or pre-owned vehicle anywhere in MI, OH, IN, or IL. Call or email for details. *** WE SPECIALIZE IN CREDIT ISSUES *** Recent Arrival! Clean CARFAX. **HAVE QUESTIONS? TEXT US ANY TIME AT (313)327-3563**. SXT Interested? Call/Text 313-327-3563. Credit Specialist On Hand. Our Clean Carfax One Owner 2017 Dodge Journey SXT in Granite Metallic Clear Coat lets you take command of your day with family-friendly functionality! KEY FEATURES: • Powered by proven 3.6 Liter V6 that offers 283hp while matched to a 6 Speed Automatic transmission for amazing passing authority • Front Wheel Drive • Reclining 3rd row seat • Front Fog Lights • Roof Rails Technology: • Available Satellite Radio • Touchscreen Display with Bluetooth • USB Charging Port • Remote Keyless Entry Interior/Exterior: • Premium Cloth Low-Back Bucket Seats • Split Folding 2nd Row Seat • Dual-Zone Temperature Control • Rear Air Conditioning • Alloy Wheels Safety: • 4-Wheel Disc Brakes • Dual Front Air Bags • Fully Automatic Headlights • Traction Control • Low Tire Pressure Warning Print This Page or Call/Text Us Now 313-327-3563. Located in Detroit and easy to get to from anywhere in Wayne, Macomb and Oakland Counties. Close to I-94 and We Know You Will Enjoy Your Test Drive Towards Ownership! ONE OWNER CLEAN CAR FAX NON SMOKER WELL MAINTAINED PREMIUM 2 PACKAGE FULL POWER LEATHER INT HEATED FRONT SEATS REMOTE START ALLOY WHEELS AND MORE GM CERTIFIED We will deliver, at no cost to you, your new or pre-owned vehicle anywhere in MI, OH, IN, or IL. Call or email for details. ***WE SPECIALIZE IN CREDIT ISSUES*** Interested? Call/Text 313-327-3563. Credit Specialist On Hand. Boasting dramatic style and thrilling performance, our GM Certified Clean Carfax 2016 Buick Regal Premium II is superb in Crimson Red Tintcoat! KEY FEATURES: • Powered by a TurboCharged 2.0 Liter 4 Cylinder with 259hp channeled through a 6 Speed Automatic transmission to provide spirited acceleration and near 30mpg on the highway • Alloy Wheels • Front Wheel Drive • Push to Start Technology: • Auto Headlights • Available Satellite Radio • Premium Stereo with Bluetooth, USB and Aux In • Keyless Entry • Remote Start Interior/Exterior: • Heated Leather Front Seats • Split Folding Rear Seats • Dual Zone Climate Control • Heated Steering Wheel • Power Tilt-Sliding Sunroof Safety: • Low Tire Pressure Monitor • 4 Wheel Disc Brakes with ABS • Traction Control • Rearview Camera • Rear Parking Sensors Print This Page or Call/Text Us Now 313-327-3563. Located in Detroit and easy to get to from anywhere in Wayne, Macomb and Oakland Counties. Close to I-94 and We Know You Will Enjoy Your Test Drive Towards Ownership! We will deliver, at no cost to you, your new or pre-owned vehicle anywhere in MI, OH, IN, or IL. Call or email for details. *** WE SPECIALIZE IN CREDIT ISSUES *** Recent Arrival! CARFAX One-Owner. Clean CARFAX.NON SMOKER WELL MAINTAINED PREFERRED PACKAGE FULL POWER AND MORE GM CERTIFIED **HAVE QUESTIONS? TEXT US ANY TIME AT (313)327-3563**. Preferred Interested? Call/Text 313-327-3563. Credit Specialist On Hand. Take on the twist and turns of your day with our Clean Carfax One Owner 2017 Buick Encore Preferred Crossover that looks ready to roll in Graphite Gray Metallic! KEY FEATURES: • Powered by a reliable TurboCharged 1.4 Liter EcoTec 4 Cylinder that produces a healthy 138hp while paired with an innovative 6 Speed Automatic transmission • Alloy Wheels • Front Wheel Drive • Roof Rails Technology: • Remote Keyless Entry • Available Satellite Radio • Premium Stereo with Bluetooth, USB and Aux In • Buick IntelliLink Interior/Exterior: • Cloth with Leatherette Trim Power Front Seats • Split Folding Rear Seats • Heated Door Mirrors • Zone A/C Safety: • Low Tire Pressure Monitor • 4 Wheel Disc Brakes with ABS • Traction Control • Rearview Camera Print This Page or Call/Text Us Now 313-327-3563. Located in Detroit and easy to get to from anywhere in Wayne, Macomb and Oakland Counties. Close to I-94 and We Know You Will Enjoy Your Test Drive Towards Ownership! We will deliver, at no cost to you, your new or pre-owned vehicle anywhere in MI, OH, IN, or IL. Call or email for details. *** WE SPECIALIZE IN CREDIT ISSUES *** Recent Arrival! CARFAX One-Owner. Clean CARFAX. **HAVE QUESTIONS? TEXT US ANY TIME AT (313)327-3563**. Latitude Certified. FCA US Certified Pre-Owned Details: * 125 Point Inspection * Warranty Deductible: $100 * Vehicle History * Powertrain Limited Warranty: 84 Month/100,000 Mile (whichever comes first) from original in-service date * Roadside Assistance * Transferable Warranty * Includes First Day Rental, Car Rental Allowance, and Trip Interruption Benefits * Limited Warranty: 3 Month/3,000 Mile (whichever comes first) after new car warranty expires or from certified purchase date Interested? Call/Text 313-327-3563. Credit Specialist On Hand. Experience ultimate off-road capability, comfort and fuel efficiency in our Clean Carfax One Owner FCA US Certified Pre-Owned 2016 Jeep Cherokee Latitude presented in Bright White Clear Coat. KEY FEATURES: • 2.4 Liter 4 Cylinder producing 184hp tethered to a 9 Speed Automatic transmission • Keyless Entry • Alloy Wheels • Front Wheel Drive Technology: • Available Satellite Radio • Steering Wheel Audio Controls • Premium Stereo with Bluetooth, Aux In, USB, and SD Card • Multiple 12 Volt Power Ports Interior/Exterior: • Premium Cloth Bucket Seats • Split-folding Rear Seat • Roof Rails • Climate Control Safety: • 4 Wheel ABS • Stability and Traction control • Driver and Passenger Airbags • Four Wheel Independent Suspension Print This Page or Call/Text Us Now 313-327-3563. Located in Detroit and easy to get to from anywhere in Wayne, Macomb and Oakland Counties. Close to I-94 and We Know You Will Enjoy Your Test Drive Towards Ownership! We will deliver, at no cost to you, your new or pre-owned vehicle anywhere in MI, OH, IN, or IL. Call or email for details. *** WE SPECIALIZE IN CREDIT ISSUES *** Recent Arrival! **HAVE QUESTIONS? TEXT US ANY TIME AT (313)327-3563**. SXT Interested? Call/Text 313-327-3563. Credit Specialist On Hand. Our 2017 Dodge Grand Caravan SXT in White Clear Coat will be a hit with the entire family as it's supremely versatile and ready to serve you well! Key Features: • Fueled by a proven 3.6 Liter V6 that offers 283hp while connected to a 6 Speed Automatic transmission for smooth shifts • Roof Rails • Alloy Wheels • Keyless Entry Technology: • Stow N' Go Rear Seating • Uconnect Audio System • Bluetooth • ParkView Rear Back-Up Camera Interior/Exterior: • Front Dual Zone A/C • Rear Zone Climate Control • Leather & Suede Bucket Seats • Split folding rear seat • Third Row Split Bench Safety: • 4 Wheel Disc Brakes • Low Tire Pressure Warning • Multiple Airbags • Fully Automatic Headlights Print This Page or Call/Text Us Now 313-327-3563. Located in Detroit and easy to get to from anywhere in Wayne, Macomb and Oakland Counties. Close to I-94 and We Know You Will Enjoy Your Test Drive Towards Ownership! We will deliver, at no cost to you, your new or pre-owned vehicle anywhere in MI, OH, IN, or IL. Call or email for details. *** WE SPECIALIZE IN CREDIT ISSUES *** Recent Arrival! Clean CARFAX. **HAVE QUESTIONS? TEXT US ANY TIME AT (313)327-3563**. Latitude Interested? Call/Text 313-327-3563. Credit Specialist On Hand. Show off your rebellious nature with our Clean Carfax 2018 Jeep Renegade Latitude 4WD in Black! KEY FEATURES: • Powered by an efficient 2.4 Liter 4 Cylinder that offers 180hp while connected to a 9 Speed Automatic transmission • Four Wheel Drive • Alloy Wheels • Roof Rails Technology: • Uconnect 4 with 7-inch Color Display • Available Satellite Radio • Premium Stereo with Bluetooth, CD, and Aux In • Fully Automatic Headlights Interior/Exterior: • Premium Cloth Bucket Seats • Split Folding Rear Seat • Front Dual Zone A/C • Steering Wheel Mounted Audio Controls Safety: • Four Wheel Independent Suspension • Low Tire Pressure Monitor • 4-Wheel Disc Brakes with ABS • Stability Control • Fog Lights Print This Page or Call/Text Us Now 313-327-3563. Located in Detroit and easy to get to from anywhere in Wayne, Macomb and Oakland Counties. Close to I-94 and We Know You Will Enjoy Your Test Drive Towards Ownership! ONE OWNER NON SMOKER CLEAN CARFAX WELL MAINTAINED SLE 2 PACKAGE HEATED FRONT SEATS REMOTE START FULL POWER ALLOY WHEELS AND MORE GM CERTIFIED We will deliver, at no cost to you, your new or pre-owned vehicle anywhere in MI, OH, IN, or IL. Call or email for details. ***WE SPECIALIZE IN CREDIT ISSUES*** Interested? Call/Text 313-327-3563. Credit Specialist On Hand. Elevate your style in our Clean Carfax One Owner 2016 GMC Terrain SLE-2 SUV presented in Summit White! KEY FEATURES: • Powered by a 2.4 Liter 4 Cylinder connected to a 6 Speed Automatic transmission • Front Wheel Drive • Alloy Wheels • Remote Start Technology: • Color Touch Screen • Remote Keyless Entry • Automatic Headlights • Steering Wheel Audio Controls Interior/Exterior: • Heated Front Seats • Split Folding Rear Seat • Heated Power Door Mirrors • Spoiler Safety: • Backup Camera • 4-Wheel Disc Brakes • Dual Front and Side Airbags • Stability/Traction Control Print This Page or Call/Text Us Now 313-327-3563. Located in Detroit and easy to get to from anywhere in Wayne, Macomb and Oakland Counties. Close to I-94 and We Know You Will Enjoy Your Test Drive Towards Ownership! We will deliver, at no cost to you, your new or pre-owned vehicle anywhere in MI, OH, IN, or IL. Call or email for details. *** WE SPECIALIZE IN CREDIT ISSUES *** Recent Arrival! CARFAX One-Owner. Clean CARFAX.NON SMOKER WELL MAINTAINED SLE 2 PACKAGE REMOTE START HEATED FRONT SEATS FULL POWER ALLOY WHEELS AND MORE GM CERTIFIED **HAVE QUESTIONS? TEXT US ANY TIME AT (313)327-3563**, 6-Speed Automatic. SLE-2 Interested? Call/Text 313-327-3563. Credit Specialist On Hand. You'll make a great first impression in our Clean Carfax One Owner 2017 GMC Terrain SLE-2 SUV that's outstanding in Dark Sapphire Blue Metallic! KEY FEATURES: • 2.4 Liter 4 cylinder engine with 182hp is paired with a 6 Speed Automatic transmission which results in an exceptionally quiet ride, great handling, and up to 32mpg on the open road • Front Wheel Drive • Automatic Headlights • Roof Rails • Alloy Wheels Technology: • IntelliLink Color Touch Screen • Remote Keyless Entry • Steering Wheel Audio Controls • Available Satellite Radio • Automatic Climate Control Interior/Exterior: • Cloth Bucket Seats • Heated Power Door Mirrors • Spoiler • Split Folding Rear Seats Safety: • Backup Camera • 4-Wheel Disc Brakes • Dual Front and Side Airbags • Stability/Traction Control Print This Page or Call/Text Us Now 313-327-3563. Located in Detroit and easy to get to from anywhere in Wayne, Macomb and Oakland Counties. Close to I-94 and We Know You Will Enjoy Your Test Drive Towards Ownership! We will deliver, at no cost to you, your new or pre-owned vehicle anywhere in MI, OH, IN, or IL. Call or email for details. *** WE SPECIALIZE IN CREDIT ISSUES *** Recent Arrival! CARFAX One-Owner. **HAVE QUESTIONS? TEXT US ANY TIME AT (313)327-3563**, AWD. GT Interested? Call/Text 313-327-3563. Credit Specialist On Hand. Outstanding in Pitch Black Clear Coat, our top-of-the-line Carfax One Owner 2017 Dodge Journey GT AWD is a practically perfect blend of versatility, amenities, and style. KEY FEATURES: • 3.6 Liter Pentastar V6 that offers 283hp with 6 Speed Automatic Transmission • All Wheel Drive • Reclining 3rd-Row Seat • ParkView Rear Back-Up Camera Technology: • Available Satellite Radio • Uconnect touchscreen interface and steering-wheel-mounted audio controls and Bluetooth • Keyless Entry • High Performance Suspension Interior/Exterior: • Heated Leather Front Seats • Split Folding 2nd-Row Seats • Front Dual Zone A/C • Alloy Wheels Safety: • 4-Wheel Disc Brakes • Dual Front Air Bags • Fully Automatic Headlights • ParkSense Rear Park Assist System Print This Page or Call/Text Us Now 313-327-3563. Located in Detroit and easy to get to from anywhere in Wayne, Macomb and Oakland Counties. Close to I-94 and We Know You Will Enjoy Your Test Drive Towards Ownership! We will deliver, at no cost to you, your new or pre-owned vehicle anywhere in MI, OH, IN, or IL. Call or email for details. *** WE SPECIALIZE IN CREDIT ISSUES *** Recent Arrival! **HAVE QUESTIONS? TEXT US ANY TIME AT (313)327-3563**. Limited Interested? Call/Text 313-327-3563. Credit Specialist On Hand. Whether cruising down a dirt road or up to the valet, our 2016 Jeep Cherokee Limited in Brilliant Black Crystal Pearl Coat provides a perfect blend of luxury and capability. Key Features: • Powered by a 3.2 Liter V6 that offers 271hp while mated to an innovative 9 Speed Automatic transmission • Four Wheel Drive • Roof Rails • Automatic Headlights and Fog Lights Technology: • Available Satellite radio capable • Steering wheel radio controls • Remote Keyless entry • SiriusXM Traffic Interior/Exterior: • Heated Front Leather Seats • Split Folding Rear Seats • Front dual zone A/C • Alloy Wheels Safety: • 4 Wheel ABS Disc Brakes • Dual Front and Side Airbags • Stability/Traction Control • Low Tire Pressure Warning Print This Page or Call/Text Us Now 313-327-3563. Located in Detroit and easy to get to from anywhere in Wayne, Macomb and Oakland Counties. Close to I-94 and We Know You Will Enjoy Your Test Drive Towards Ownership! ONE OWNER CLEAN CARFAX NON SMOKER WELL MAINTAINED SLE 2 PACKAGE REMOTE START HEATED FRONT SEATS FULL POWER SUNROOF ALLOY WHEELS MIDNIGHT EDITION GM CERTIFIED We will deliver, at no cost to you, your new or pre-owned vehicle anywhere in MI, OH, IN, or IL. Call or email for details. ***WE SPECIALIZE IN CREDIT ISSUES*** Interested? Call/Text 313-327-3563. Credit Specialist On Hand. You'll make a great first impression in our GM Certified Clean Carfax One Owner 2017 GMC Terrain SLE-2 SUV that's outstanding in Onyx Black! KEY FEATURES: • 2.4 Liter 4 cylinder engine with 182hp is paired with a 6 Speed Automatic transmission which results in an exceptionally quiet ride, great handling, and up to 32mpg on the open road • Front Wheel Drive • Automatic Headlights • Roof Rails Technology: • Color Touch Screen • Remote Keyless Entry • Remote Start • Available Satellite Radio Interior/Exterior: • Heated Front Seats • Heated Power Door Mirrors • Spoiler • Steering Wheel Audio Controls Safety: • Backup Camera • 4-Wheel Disc Brakes • Dual Front and Side Airbags • Stability/Traction Control Print This Page or Call/Text Us Now 313-327-3563. Located in Detroit and easy to get to from anywhere in Wayne, Macomb and Oakland Counties. Close to I-94 and We Know You Will Enjoy Your Test Drive Towards Ownership! We will deliver, at no cost to you, your new or pre-owned vehicle anywhere in MI, OH, IN, or IL. Call or email for details. *** WE SPECIALIZE IN CREDIT ISSUES *** Recent Arrival! CARFAX One-Owner. Clean CARFAX. **HAVE QUESTIONS? TEXT US ANY TIME AT (313)327-3563**. Limited Interested? Call/Text 313-327-3563. Credit Specialist On Hand. Take on your day behind the wheel of our Clean Carfax One Owner 2016 Jeep Cherokee Limited 4WD SUV displayed in Granite Crystal Metallic Clearcoat! Key Features: • Powered by a 3.2 Liter V6 that offers 271hp while paired with a class-exclusive 9 Speed Automatic transmission • Four Wheel Drive • Roof Rails • Remote Keyless entry Technology: • Available Satellite radio capable • Steering wheel radio controls • SiriusXM Traffic • Automatic Headlights and Fog Lights Interior/Exterior: • Heated Front Leather Seats • Split Folding Rear Seats • Front Dual Zone A/C • Alloy Wheels Safety: • 4 Wheel ABS Disc Brakes • Dual Front and Side Airbags • Stability/Traction Control • Low Tire Pressure Warning Print This Page or Call/Text Us Now 313-327-3563. Located in Detroit and easy to get to from anywhere in Wayne, Macomb and Oakland Counties. Close to I-94 and We Know You Will Enjoy Your Test Drive Towards Ownership! 2018 Journey GT Clean CARFAX **AWD**Rear Back-Up Camera**Bluetooth Capabilities**Heated, Leather Seating**Good Condition This vehicle also includes USB Port, Heated Steering Wheel, Rear Park Sensors, Automatic Temperature, Push Start, Rear Heat and Air, Remote Start, Radio Wheel Control, Satellite Radio, Auto Garage Opener, Keyless Entry, Auto Headlights, Temperature and Compass, Traction Control, Side Air Bags, MP3, Power Outlet, Dual Zone Temperature Controls, and Third Row, Power Seating Recent Arrival! Clean CARFAX. **HAVE QUESTIONS? TEXT US ANY TIME AT (313)327-3563**, AWD. GT *** WE SPECIALIZE IN CREDIT ISSUES *** Interested? Call/Text 313-327-3563. Credit Specialist On Hand. Open Saturdays 10-3 Feast your eyes on our top-of-the-line Clean Carfax 2018 Dodge Journey GT AWD presented to you in Granite Pearl that's ready to turn heads everywhere you go! KEY FEATURES: • 3.6 Liter Pentastar V6 that offers 283hp with 6 Speed Automatic Transmission • All Wheel Drive • Reclining 3rd row seat Technology: • Available Satellite Radio • Uconnect touchscreen interface and steering-wheel-mounted audio controls and Bluetooth • ParkView Rear Back-Up Camera • Remote Keyless Entry Interior/Exterior: • Heated Front Leather Seats • ATC with Dual Zone Temperature Control • Alloy Wheels • Split folding rear seat Safety: • 4-Wheel Disc Brakes • Dual Front Air Bags • Fully automatic headlights • ParkSense Rear Park Assist System Print This Page or Call/Text Us Now 313-327-3563. Located in Detroit and easy to get to from anywhere in Wayne, Macomb and Oakland Counties. Close to I-94 and We Know You Will Enjoy Your Test Drive Towards Ownership! We will deliver, at no cost to you, your new or pre-owned vehicle anywhere in MI, OH, IN, or IL. Call or email for details. *** WE SPECIALIZE IN CREDIT ISSUES *** CARFAX One-Owner. Clean CARFAX. **HAVE QUESTIONS? TEXT US ANY TIME AT (313)327-3563**. Latitude Plus Interested? Call/Text 313-327-3563. Credit Specialist On Hand. Enjoy our Clean Carfax One Owner 2018 Jeep Cherokee Latitude Plus 4WD that's dynamite in Rhino Clearcoat! KEY FEATURES: • Powered by a proven 3.2 Liter V6 that offers 271hp while connected to a 9 Speed Automatic transmission • Four Wheel Drive • Remote Keyless Entry • Alloy Wheels Technology: • Uconnect Stereo with LCD Touchscreen • Integrated Voice Command with Bluetooth • Available Satellite Radio • Steering Wheel Mounted Audio Controls • Fully Automatic Headlights Interior/Exterior: • Premium Cloth Front Bucket Seats • Split Folding Rear Seat • Roof Rails • Air Conditioning • Overhead console Safety: • 4-Wheel Disc Brakes with ABS • Electronic Stability Control • Dual Front and Side Impact Airbags • Low Tire Pressure Warning Print This Page or Call/Text Us Now 313-327-3563. Located in Detroit and easy to get to from anywhere in Wayne, Macomb and Oakland Counties. Close to I-94 and We Know You Will Enjoy Your Test Drive Towards Ownership! 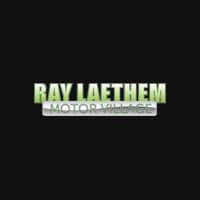 ONE OWNER CLEAN CAR FAX NON SMOKER WELL MAINTAINED CONVENIENCE PACKAGE FULL POWER ALLOY WHEELS AND MORE GM CERTIFIED We will deliver, at no cost to you, your new or pre-owned vehicle anywhere in MI, OH, IN, or IL. Call or email for details. ***WE SPECIALIZE IN CREDIT ISSUES*** Interested? Call/Text 313-327-3563. Credit Specialist On Hand. Delivering a smooth ride with excellent handling and modern refinement, our Certified Clean Carfax One Owner 2017 Buick Enclave Convenience Group SUV is primed for your driving pleasure in Red Metallic! Key Features: • Powered by a 3.6 Liter V6 with 288hp matched with a 6 Speed Automatic transmission • Front Wheel Drive • Automatic Xenon Headlights • Power Liftgate Technology: • Available Satellite Radio • Remote Keyless Entry • Dual Zone Temperature Controls • Buick IntelliLink Interior/Exterior: • Heated Steering Wheel • Premium Cloth Bucket Seats • Split Bench 3rd Row Seating • Alloy Wheels • Roof Rails Safety: • Blind Spot Alert • Multiple Airbags • Available OnStar • RearVision Camera Print This Page or Call/Text Us Now 313-327-3563. Located in Detroit and easy to get to from anywhere in Wayne, Macomb and Oakland Counties. Close to I-94 and We Know You Will Enjoy Your Test Drive Towards Ownership!